Hai readers. 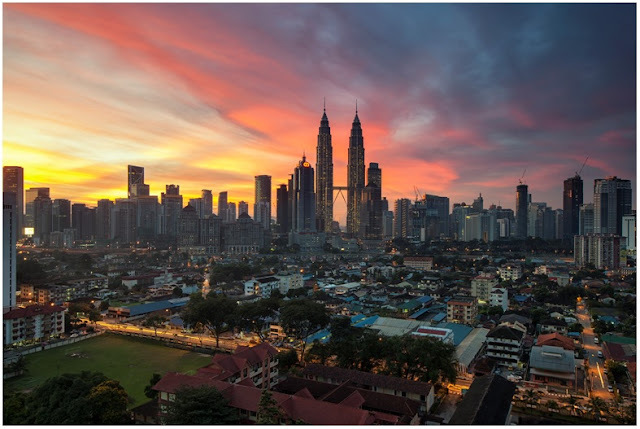 Many expats are flocking to Malaysia these days due to the affordable properties that are for sale, the ease with which foreigners can purchase landed or high rise real estate, and the beauty and climate of the country itself. Rather than trying to purchase a retirement home or vacation home in an expensive city like London or Tokyo, many world travelers who want somewhere to rest their feet are looking to places like Malaysia. Notably, apartments in Penang are highly searched by expats according to PropertyGuru. There are many undiscovered gems that the average expat doesn't know about, both in terms of actual properties as well as locales. Unlike a common tourist who may never return, though, you can go about settling into the country as either a part-time resident or a frequent visitor. If you end up there enough, it's worth purchasing property rather than renting. You may also end up in the country on business frequently and decide to put down semi-permanent roots somewhere other than a hotel. Whatever your situation is, there are many reasons to purchase property in Malaysia, and many benefits for expats. Here are a few tips on how you can get the most out of the country after buying property, even as a foreigner. There's a fine line between expats looking for a place to settle down or work, versus those who are traveling around the world. However, the best place to be in is right in the middle. Purchasing property in Malaysia is the type of commitment where, although you may not be living there all year round, immersing yourself in part of the culture is a great way to really enjoy the experience of having a home there. Expat Go recommends that a good way to integrate yourself into everyday society is to learn the language. There's nothing more satisfying than being able to go out into the local community around you and speak to locals in the native tongue. Finding the perfect second home, therefore, has much to do with the surrounding area. The first limit most people set when they're seeking a home is the price, which makes sense. However, before you go and start searching PropertyGuru Malaysia for potential properties, you'll want to choose specific areas in which you're interested. The different neighborhoods and communities throughout the country vary greatly. While some cities are very cosmopolitan and full of modernized amenities and a diverse, secular populace, there are other places that may be very foreign, especially if you're coming from the West. Regardless of where you're from, though, you need to know what type of region you're getting into. Before diving headfirst into your property search, make sure you research the cities you want to live in. Another part of your decision of what to pursue is the price point of each area. Some cities boast beautiful homes with the price tag to match, whereas other smaller towns and cities may have all the same conveniences, but come with a lower price. Ask other expats online where they've enjoyed living. The best place to find out which communities are the most enjoyable to dwell when you're not a permanent resident is by word of mouth, like any other place in the world. One of the most enjoyable elements of purchasing a second home in another country is the decorating process. It's advisable to deck out your new digs with a touch of home as well as local culture. Malaysia has a rich history with a very distinct oeuvre, and the interior design trends to match. Due to the influx of the middle class and more spending power, modern designs and interior decorators are becoming one of the leading professions. To make a vacation home or second residence feel like a place of respite, you'll want elements that are not only comforting, but also remind you that you're in Malaysia. While you may want a Western-style bed for your own comfort if you're used to a specific type of mattress, matching your color scheme to local tastes and aesthetic is a great way to create your own personal oasis. Another fantastic benefit of actually owning a residence is the ability to cook your own food and enjoy having a kitchen. Regardless of what country you're staying in as an expat, cuisine is one of the most important parts of any culture. To really get the most out of your investment, the ability to experiment with Malaysian cooking and even invite guests over and entertain is the expat experience at a whole other level. While some people merely go on vacation, others are true world travelers. Negotiating the price of real estate can be a challenge, but don't forget that not only is locale something that needs to be factored into the price you're willing to pay, but also size. According to Nomad Capitalist, there are many regions in Malaysia where you might be surprised to find more spacious accommodations for sale than first expected nearby to amenities such as the train station. There are also large cities that boast skyscrapers and luxury shopping districts, as well as the traditional, more provincial side. A wise way to approach these different factors is to sit down and make an actual, written out list of priorities. For example, deciding whether a particular location is more important than having a certain amount of space is key, and will help you make a decision once you're ready to put down cash. At the end of the property purchasing process, you'll now be left with a brand new property. The key to enjoying a so-called permanent vacation is to immerse yourself in local culture and experience a side of Malaysian society that you could never hope to if you were only there for short periods of time. Whether you stay at your new residence for only a few months out of the year and rent it out the rest of the time, or plan to retire there, being able to cook, decorate, and personalize your experience puts your travel at a whole other level. If you want to be a true jet setter and experience all the world has to offer, purchasing property in a foreign country can be more adventurous and rewarding than simply renting a vacation home. If you visit often, you'll also potentially be saving yourself money by avoiding expensive hotels or rentals. Although purchasing property in Malaysia may seem intimidating if you've never bough real estate in another country, it's one of the best places in Asia to do so. While there are more restrictions in other neighboring countries about foreigners, Malaysia's laws aren't as strict. However, don't forget that there are still regulations about landed property and other types of real estate purchases, so you'll want to make sure to consult with a lawyer. Working with a real estate agent is also a good way to go, and for the most part, you'll probably be doing so anyway, since most developers list their properties online. As an expat, you may have traveled the world in fragments, but one of the most enriching travel experiences is being able to live in a country for longer than a mere few weeks on a short holiday.